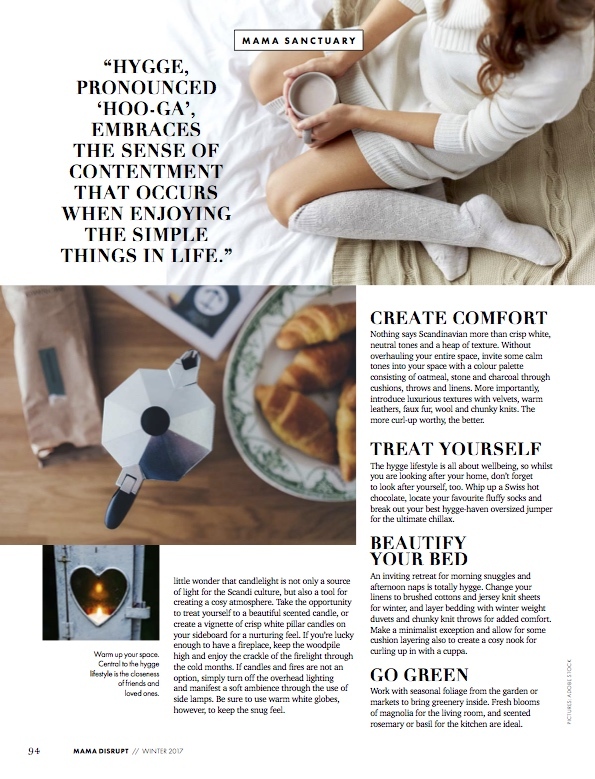 Honoured to be asked to contribute to the incredible Mama Disrupt Magazine again, with the Winter Edition discussing all things Hygge. 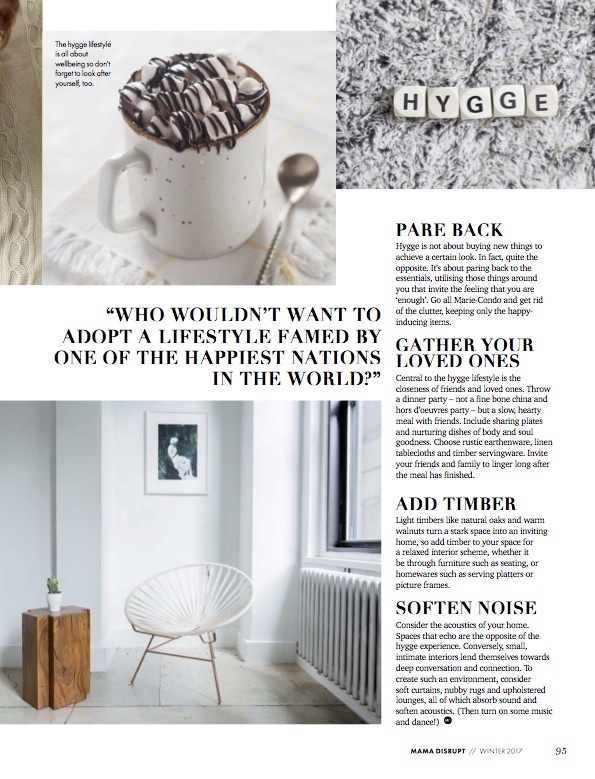 It’s a funny concept Hygge, hard to explain in words but in hindsight a concept I have been translating into interiors for as long as I have been rearranging my giganitc dolls house Dad made me. 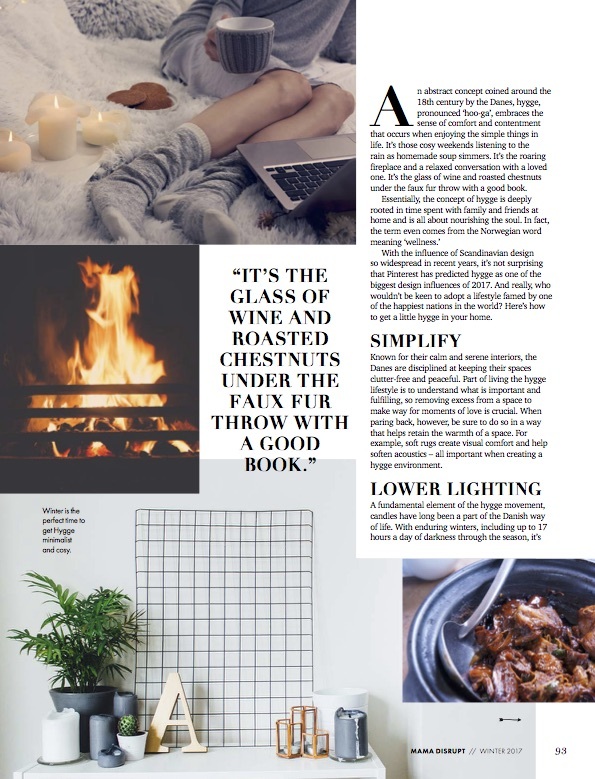 Its the friendly clutter, the layers, the neutral layers and the calm brought about by candles, music and food in the home. 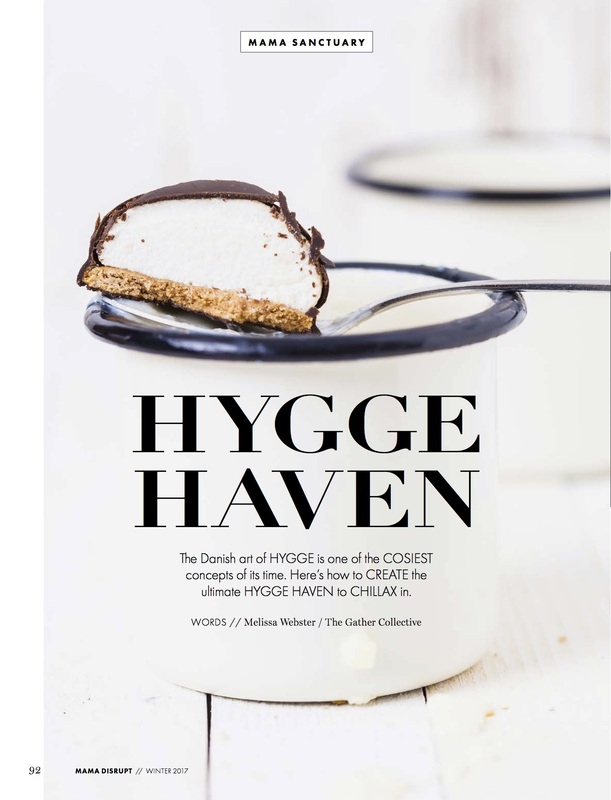 I tend to harp on about the connection a space has to your wellbeing, and hygge really centres around this.